Presume a much more advanced version of it was created and everybody could inhibit any emotional pain. Anybody could become a soulless stock broker who invests in companies which make profit selling weapons to third world countries or pollute the environment. Soldiers would go to war without being afraid of PTSD or any fear at all not even death nor remorse for indiscriminate killing. It would be easy to lie and to deceit to people because guilt and remorse would be removed by the DBS machine. Nobody would be upset not even when insulted or by the loss anything or anybody because pain caused by worry and grief could be removed. If we had the chance to remove the emotions that make us social animals would we do it? Would society survive? Species such us spiders have cannibalistic behaviour and they are successful species. Could humanity turn into something similar? Could a society made up of mostly sociopaths survive and if so would they consider empathetic people “mentally sick”? There is plenty of literature on machines trying to be human. Is there any on humans trying to kill their souls since it gives them just suffering a turn just like machines? This question is somehow similar to "soma" from Brave New World, are there any other examples? Do we really need "soma" or DBS, is not nurture, capitalism and violent upbringing as shown by history (Nazi Germany, Middle Ages Societies, Abu Ghraib, etc) enough to create a non-empathetic society? References are wanted but not mandatory. First of all, empathy and other social functions exists among other mammals (dogs, wolves, horses, all kind of apes etc ...) . Why have they developed ? Simply, group is stronger than the sum of individuals. Five lonely wolves have lesser chance to survive than five wolves in a pack. With humans this is even more pronounced: we are essentially very weak monkeys that depend on others to provide clothes, shoes, food, water, electricity and all kinds of machinery . If we lived in constant fear of other humans (who could kill us to take our ) we would not be able to function. Spiders you mentioned basically do not need other spiders except when it is time to mate when they temporarily suspend their aggression. Societies you mentioned are not good examples of emotionless and psychopathic behavior. Take for example Third Reich : core tenant of National-Socialist was Germany above everything in the world. Here we see some kind of exaggerated love. We also have hatred toward others because they ostensibly endangered Germany and German nation, and readiness to sacrifice everything (including themselves) for Germany. These are not treats of psychopath. Finally, there is a critique of liberal capitalism and example of ruthless stock broker or CEO of great bank. In real world that would be Lloyd Blankfein, former head of Goldman Sachs - great vampire squid. It is said that GS deliberately ruined economies of whole countries (and partially US economy) in order to gain profit for themselves. On the first glance this confirms the theory that liberal capitalism promotes psychopathic behavior. However, nature has cure even for that - if humans allow vampire banks to ruin economy, then economy would be worthless including those banks. As we could see, even inside "the squid" there were attempts to tone down psychopathic behavior, if not for some altruistic purpose then simply to survive. It has been argued that psychopathic traits are persistent at a low percentage across cultures and times, and correlate with some positives, success in fields like surgery or front-line military service, and are over-represented in boardrooms. But, societies composed of higher percentages of psychopaths would lack cohesion, and lead to focus on narrow version of success rather than wider social well-being. There is some evidence we can train to become more or less psychopathic. I suggest there is an analogy with ambiguity tolerance–intolerance in that there is probably a sweet-spot for societies as a whole, which relates to the challenges those societies are facing, and a need for variation in both directions. Ambiguity-intolerance and psychopathy both seem to needed for moments of conflict, destruction, instability. Ambiguity-tolerance is linked to creativity. The opposite of psychopathy, great empathy perhaps, compassion, perhaps the Buddhist quality of 'bodhicitta', might similarly be appropriate to times of peace and plenty, when there is spare energy, capacity, or time. I would choose that. I think the answer is that we would not or we should not be allowed to. An advanced DBS would make the same effect as an advanced anti-depressant and as such it could work in some cases and some specific scenarios to take away pain which could also result in a handicap of the perceptive capacities of the subject. Spiders and insects alike show very non-empathetic behaviors but nature prevents the individual from becoming more relevant than the hive to prevent the extinction of the whole species. Psychopathy would be considered a mental illness because it takes away an advanced mental feature which is the capacity to feel through other individuals and act accordingly which is given mostly in highly developed mammals. In an ever-changing universe in which biological entities need to adapt and evolve to new circumstances, all lifeforms which favor the individual over the collective would most likely end up extinct. I have not found a clear example of this on any book or sci-fi movie yet. Perhaps the most similar is the movie "Transcendence 2014" (the main character turns into a AI but not a psychopath), "Eternal Sunshine of the Spotless Mind" (related to the need to remove bad memories but not about the capacity to inhibit feelings), or the character or Darth Vader form the Star Wars franchise (As far as I know the character becomes psychopathic but not because he turns into a part-machine). Kind of interesting irony here. Yes, irony. 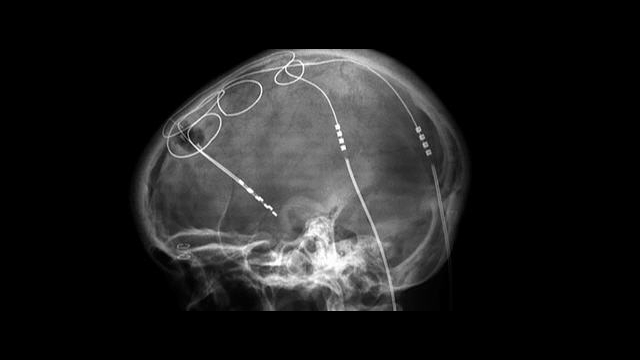 Deep brain stimulation is a surgical procedure which one could argue is performed by psychopaths in that they lack certain empathies just to perform the operation. So in that sense one might prefer to be a psychopath to fulfill the characteristics to become a surgeon. Or a soldier who needs to kill a perceived threat. But anyway. It is very questionable if any majority percentage of the population are not psycho paths. Just have learned the behavior necessary to seem normal. Even under extreme scientific testing I would argue the subconscious mind might be able to detect inconsistencies which would make a test unreliable and give false positives. The only situation which would create a test of empathy would be inside a true reality without duplicite circumstances. And then perhaps what is being tested is not true empathy but rather some form of submissiveness to reward. The world and society depends less on developed emotions than it depends on the manipulations of those emotions by any false logic. What we think we know we are only taught to accept and if this is truth we have yet to know if we are actually empathetic. And what are you empathetic to? Would you save your wife or husband before a strangers child? Would you go along with being convinced to kill a murderer if it was the only choice if not they would go free if they had an actual trial? What is empathy, what is fair? What can you be convinced of? If your definition of empathy encompasses all human beings then it encompasses murderers and rapists and racists and everything else, because that is what empathy is. If it only encompasses good human beings then you are, a psycho path in some sense. What is good? What is human? What is moral? The world must survive even though there are arguments it wouldn’t if psychopaths controlled the world. But some would argue psychopaths do control the world and always have and to even be in a position to do that job one must be outside of the normal parameters of emotions and feelings and instead focus on logic. Which brings us to philosophy. Philosophy itself is a study of logic and logic is formulated outside the parameters of emotions. How many great philosophers could be suspected of being a psycho path? Even Galileo in his day probably had to e psycho just to continue Experimenting outside the boundaries given to him. Not the answer you're looking for? Browse other questions tagged reference-request sociology emotions thought-experiment or ask your own question. Why do famous people become famous? How to formally establish the argument whether programming could be a new form of literacy or not?